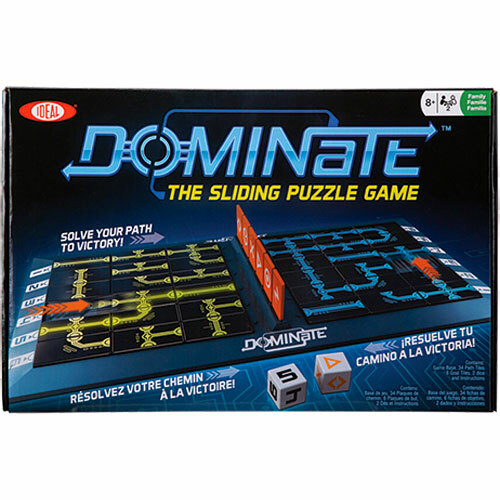 A brain-bending sliding puzzle game, with no turns allowed as players play simultaneously to connect a path to the finish. 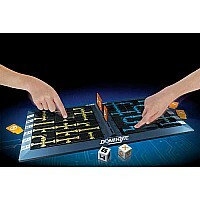 Slide the tiles around on the board in order to connect a path from a start point to an end point. 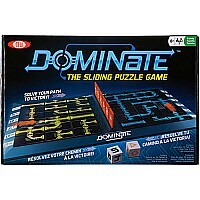 Included with this game are the game base, 34 dominoes, 6 goal chips, 2 dice and instructions. A fast paced race! For 2 players. From Alex Brands, for ages 8 yrs-adult.